You’ve spent perhaps more than enough time watching your favorite Youtube makeup tutorials, read reviews online and now ready to set your foot in the world of makeup brush by getting your very first set. Or perhaps you already have your own small collection of Makeup brush and wondering whether you are “doing it right”. But what you should look out for? It’s always a good idea to steer away from foreseeable danger. Learn from these 5 common mistakes in makeup brushes and take the first step to achieve that perfect look. Do not apply too much pressure when applying makeup, especially around eye area and when you applying highlighter or blush. how lightly stroke your brush is the key to have a beautiful, naturally flushed look. Otherwise, you could look as if you’ve run with your top speed for hours all the time. The Most brushes are made so that they use the best, soft hair for the tip & outer layer of the bristle, while harder, more resilient and firm hair as a core to keep its shape. Using a brush with too much pressure would not only warp the bristle out of its shape, but also not good for skin, because the facial skin is very sensitive, and should always be treated with care. There is a certain motion for each type of brushes, and this is best studied with online video source like Youtube video. Some require a circular motion like blending brush, and some should be used with gentle tapping – mainly square Foundation/concealer brush with flat bristle head. This is probably the most dangerous mistake of all, yet a study conducted in 2013* indicate that 72% of us does not properly take care of their brushes. How messy is your makeup collection? One of the most important aspects of brushes is that they pick up the product and deliver it in the best way. Unfortunately, in every use, a brush picks up things other than beauty product in your arsenal. It accumulates the dirt from our hands, oils from the facial skin and others like dust. This could accumulate over time without proper cleaning of the brush – which all points to spread of bacteria in the brush. Bacteria that slowly gets build up In brush can be a cause of pores and infection on the face, and it could really aggravate your skin. High-quality brush, especially the Japanese makeup brush comes with a decent price tag. So it’s always a good idea to spend a little extra time taking care of your trusty tool so that they would perform better and last longer for you. Check out this article we have for proper way to maintenance your brush in prime, clean condition. For those who want to have a sneak peek, here’s short round up of the article. Watch out for liquid, cream and gel type product left in a brush because they create an ideal humid condition for bacterial and germ to thrive. Spot cleaning with antibacterial spray (one with alcohol or soft) is a good and easy way to go for daily maintenance. How do you store your brushes? Those bags are the best to keep brushes neatly sorted and away from picking up dust. After every use, the brush should be stored handle down, bristle up. A humid and warm place like bathroom would be a no-no for the brushes because it could actually make it faster for the bacteria to spread. Instead, keep it in other room, like your bedroom for better access and to let it last longer. Don’t haul them in small bags the moment after you finish with your makeup! The bristle would be squashed and gets warped. A Simple storage method with cup should be good. We’ve written a dedicated post about the brush storage on our older post, check them out HERE. There are roughly 14 different kinds of makeup brush shapes. Each brush is designed to serve a specific purpose. They are the incredibly helpful tools and works miracle with its carefully selected shape and bristle materials. Those brushes help you in every stage of the makeup. The powder type brushes can pick up and spread the powder evenly across your face. Eye liner, with its fine bristle tip, draw a precise sharp line to make your eye sharper and more attractive. 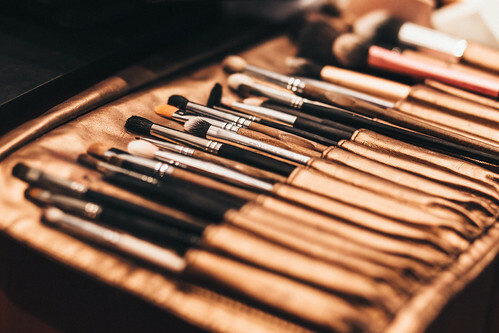 Often, there are some versatile brushes that can cover many roles by itself but using wrong brushes that don’t fit the spot, you will be struggling with placing too much product or too little, taking more time in your makeup routine. Here are the main 14 kinds of makeup brushes. We will post more about these types of brushes and how to use them, as well as which brush you don’t need for the beginning so that you can start with just basic. Exactly what makes expensive, gorgeous powder brush like Chikuhodo Z-1 so different from the one you can buy for a dollar or two? How different would it be? Well, it makes a world of difference. For instance, quality powder brush with densely packed bristle will pick up a good amount of powder and evenly deliver it across your face with its fine end of the hair. It will speed up your makeup routine because the right brush will get the job done quickly and effortlessly. But this doesn’t mean that you have to spend a fortune trying to build a kingdom of perfect makeup brushes (unless you can afford it!). You can start small, building up on what you already have and slowly expand your arsenal of tools. Good quality cosmetic brushes last for 3 – 5+ years on average and more with good care. 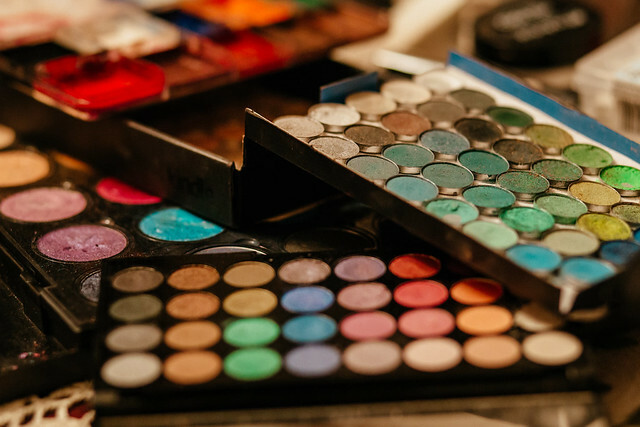 Great makeup is a combination of appropriate technique, a right application tool, and quality products. Build up your dream makeup collection with good quality product that lasts. Lastly, for great quality makeup brushes, I recommend Chikuhodo and Koyudo, they are Japanese traditional brush manufacturer that produces millions of OEM brushes for oversea cosmetic companies but they have their own brand as well. Their brushes are relatively affordable compared to other brands but in great quality, because you’re purchasing directly from the manufacturer. Thank you very much for reading through the article, please like and leave your thought in the comment section below. What was your worst makeup brush mistakes? How do you choose your brush? I will answer all of your questions. *Simonian, A., 2013, The Identification of Bacteria Found on Makeup Brushes, Loyola Marymount University, California. Thank you so much for this article. Actually, this article is so attractive for us. Makeup brushes is most important tools for using the proper makeup. I think this article is better than another article.